If you’ve been to Bryce Canyon before, then you probably drove right through Red Canyon on your way. And I mean that quite literally: Highway 12 cuts right through the rock of Red Canyon, creating natural bridges that go up and over the road. It doesn’t have the dramatic flair of Bryce Canyon, but if you’re looking for red rock trails without a lot of people, you can find your solitude in Red Canyon. Stop by the Visitor Center for information on camping and backcountry trails. This small town is growing in popularity thanks to its proximity to Zion, Bryce and Lake Powell, serving as a hub for those passing through or between. 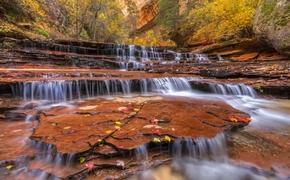 But there’s no need to follow the crowds out of town—Kanab has a lot to offer. One of the best perks of staying in Kanab is that you can enter the in-person lottery at the local BLM office for a better chance at a permit to hike to The Wave, which allows only 20 visitors a day (read more about the permitting process here). 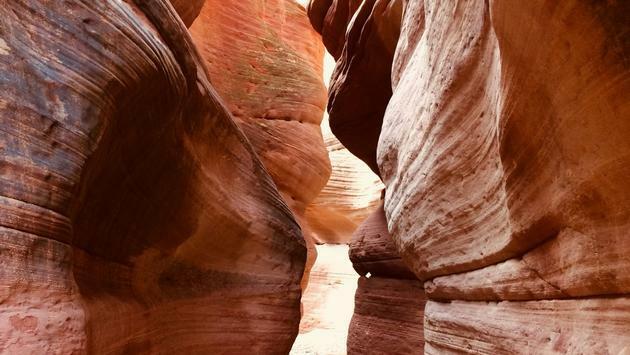 Peek-a-boo Slot Canyon can be reached two ways: on foot (3 miles to the canyon entrance), or via a four-wheel drive tour (Forever Adventure Tours) that explores the sandy and rocky desert terrain before taking you on a guided hike of the canyon. Animal lovers will want to take a free tour of the Best Friends Animal Sanctuary, the nation's largest no-kill shelter for companion animals. St. George is another town that’s growing in popularity, but with a little different twist: many retirees are moving in to take advantage of the mild winters. Just 90 minutes from Vegas, the town offers immediate access to a number of off-beat wilderness areas. 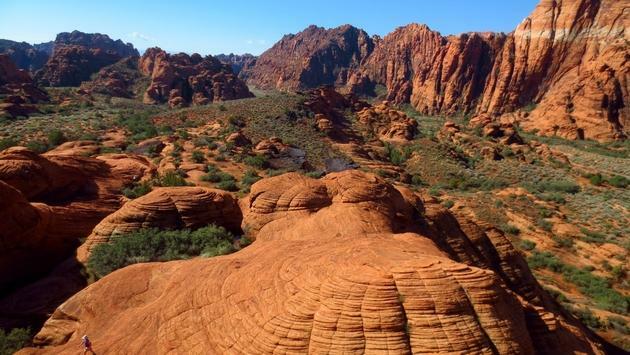 Snow Canyon, the Virgin River, and Red Cliffs National Conservation area are great places to start. Round out your visit by catching an outdoor performance at the Tuacahn theater, built into the red rocks. Though the Grand Staircase is not a secret, it’s large size—the approximate size of Delaware—means there are plenty of hidden gems and less-traveled areas. If you’re staying in Kanab or Lake Powell, check out the Toadstools hike, a nice and easy jaunt that ends at a series of mushroom-shaped rock formations (known as toadstools), perfect for a sunrise adventure. Want something totally off the gird? Explore Robbers Roost with Get in the Wild Adventures. This State Park gets its name from the color of its sand dunes, which can appear pink in the soft lighting of the early morning or late afternoon. There are campsites and hiking trails, but the main event here is ATVing. There are many trails that wind their way across the dunes and into the surrounding forests, the soft sand providing smooth terrain for beginner riders. 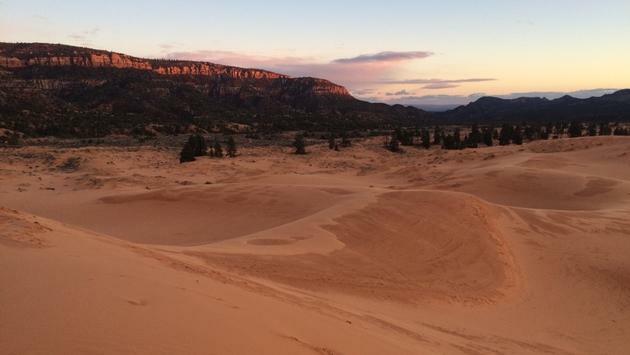 Grab a campsite for the night and take a tour with Coral Pink ATV Tours: cruise up, down and over the dunes and culminate the experience with a sunset view over the valley.